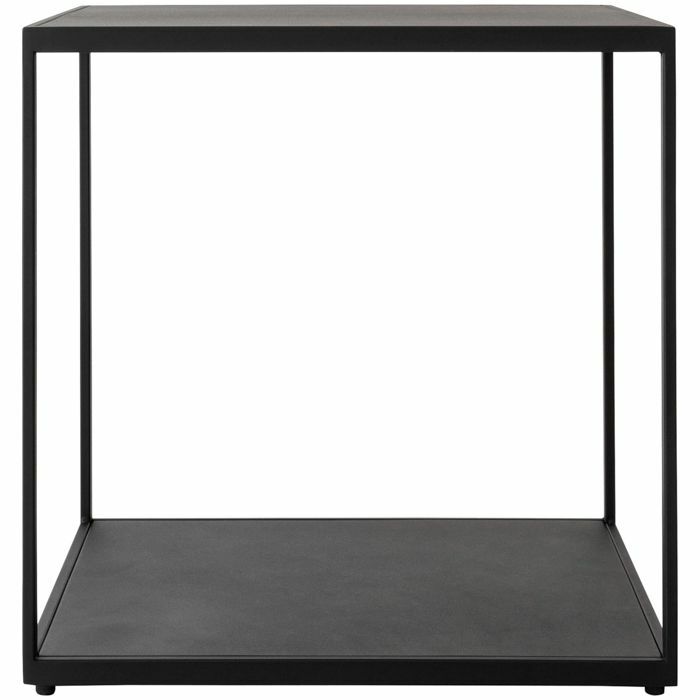 This end table has a powder coated finish. Dust regularly and wipe with a soft, damp cloth. Dry off immediately to avoid marks. Do not use any harsh chemicals, abrasive powders, metallic scourers, silver or brass cleaners. If residue starts to leave marks apply wax polish regularly to shine. Frame is not rust proof. Clean more regularly at the coast, as sea salts build up and could cause corrosion. Kile is the Norwegian word for wedge. A simple side table where the legs are wedged into the table top. This side table is made of aluminium.